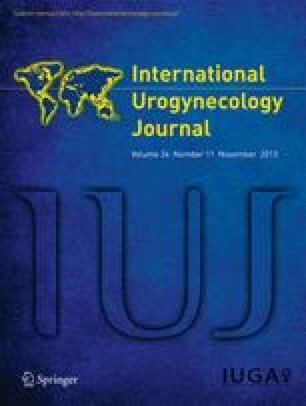 The aim of this study was to compare patient reported outcomes and complications after repair of recurrent anterior vaginal wall prolapse in routine health care settings using standard anterior colporrhaphy or non-absorbable mesh. The study is based on prospective data from the Swedish National Register for Gynaecological Surgery. 286 women were operated on for recurrent anterior vaginal wall prolapse in 2008–2010; 157 women had an anterior colporrhaphy and 129 were operated on with a non-absorbable mesh. Pre-, and perioperative data were collected from doctors and patients. Patient reported outcomes were evaluated 2 months and 12 months after the operation. After 12 months, the odds ratio (OR) of patient reported cure was 2.90 (1.34–6.31) after mesh implants compared with anterior colporrhaphy. Both patient- and doctor-reported complications were found more often in the mesh group. However, no differences in serious complications were found. Thus, an organ lesion was found in 2.3 % after mesh implant compared with 2.5 % after anterior colporrhaphy (p = 0.58). Two patients in the mesh group (1.2 %) were re-operated compared with 1 patient (0.6 %) in the anterior colporrhaphy group (p = 0.58). The infection rate was higher after mesh (8.5 %) than after anterior colporrhaphy (2.5 %; OR 3.19 ; 1.07–14.25). Implantation of synthetic mesh during operation for recurrent cystocele more than doubled the cure rate, whereas no differences in serious complications were found between the groups. However, mesh increased the risk of infection. Emil Nüssler is responsible for the register of prolapse surgery of the Swedish National Register for Gynaecological Surgery. Mats Löfgren is chairman for the National Register. The authors alone are responsible for the content and writing of the paper.